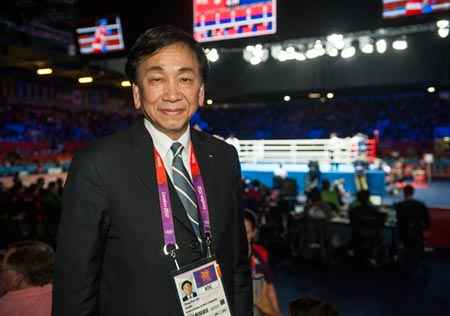 May 23 - International Boxing Association (AIBA) President C K Wu has officially announced today that he will enter the race to become the next International Olympic Committee (IOC) President. The declaration from the 66-year-old from Taiwan (pictured top) makes him the fourth candidate to declare he will run to succeed Jacques Rogge as IOC President. He follows Germany's Thomas Bach, Singapore's Ng Ser Miang and Puerto Rico's Richard Carrión. Ukraine's Sergey Bubka is expected to follow in the coming days, as could Switzerland's Denis Oswald. Rogge is due to officially step down at the IOC Session in Buenos Aires on September 10 following a 12-year reign. Under the slogan "Beyond Olympism, together", Wu announced that he is looking to succeed the Belgian at the Westin Hotel in Taipei, the capital of his native Taiwan. He chose to announce his candidacy there because it was where he first became an IOC member back in 1988 following the recommendation of former President Juan Antonio Samaranch. 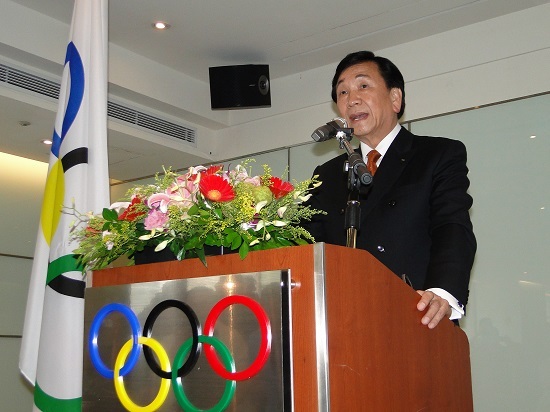 Of the candidates set to run to replace Rogge, Wu is the longest serving IOC member following his entry into the organisation 25 years ago and he underlined his long-standing commitment to the Olympic Movement as he announced his candidacy. "For the past 25 years, every January 1 reminded me of my first day as an IOC Member back in 1988," Wu said. "All of these magical moments I have spent within the Olympic Movement have inspired my entire life and have helped me to stay young in heart, humble and continuously motivated to serve all sports and their athletes I dearly love. "Following these two inspiring decades, today is a very special date for me as it is my honour to announce that I have decided to run for the IOC Presidency election scheduled for September this year. A world-renowned architect by profession, Wu is particularly strong on his commitment to the cultural aspect of the Olympic Games and is a prominent member of the IOC Commission for Culture and Olympic Education. 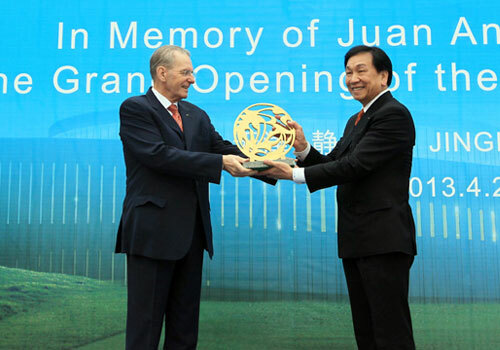 That commitment was visibly demonstrated just last month when he unveiled the Samaranch Memorial in Tianjin in China to commemorate the memory and legacy of the former IOC President - with Wu himself conceiving, founding and designing the initiative. Wu took the opportunity to praise both Samaranch of Rogge for their leadership of the IOC over the last three decades and said that despite the daunting challenge of succeeding them as the new President, he feels he has the capability to do so. "Since 1980, 33 years until today, the IOC has lived under the leadership of two great Presidents," Wu told insidethegames. "I truly believe that no other individual, including me, will ever be able to lead the Olympic Movement the way they did. "These two leaders have made of the IOC a true leading organisation that contributes to offering welfare and bright hopes to every mankind. "The days of the IOC Renaissance have certainly arrived and on a personal level, I owe so much to both. "Therefore, I truly believe that the IOC now needs a leader who is able to harmonise all relationships, delegate his responsibilities to the members and support them in the realisation of the Olympic ideals and beyond. "The next President should inspire members to collaborate, to provide leadership and to represent the IOC in their country." Wu explained that helping the IOC and Olympic Movement reach out to young people will be one of his main priorities if he is elected as the new IOC President while he also stressed that he would use the power of the organisation to combat growing social problems such as doping, gambling, match-fixing and violence. "The thought and concept to develop the IOC and Olympic Movement beyond the realisation of the Olympism is the core principle of my candidature," he said. "The IOC and the Olympic Games have much more power to positively impact society than any other organisation and project in this world. "In this fast moving society, I fear that we are losing control over educating our younger generation to fight against all growing social problems – doping, gambling, match-fixing, violence, etc. "In addition, the environment, poverty, domestic violence, global politics, religious conflicts, are all issues that we care about addressing beyond sports and Olympism and that are parts of our responsibilities. "Therefore, I would like to propose to all of our colleagues that we pose ourselves as members of an organisation that leads the effort in making our world a better place not only for our athletes and the Olympic family, but also for our neighbours and society at large. "I strongly urge that we concentrate more on education than ever before. "I truly believe that there is no better solution to fighting against these problems than providing young people with education early on. "This is one of the best ways to bring the IOC well beyond what it has achieved as of today." 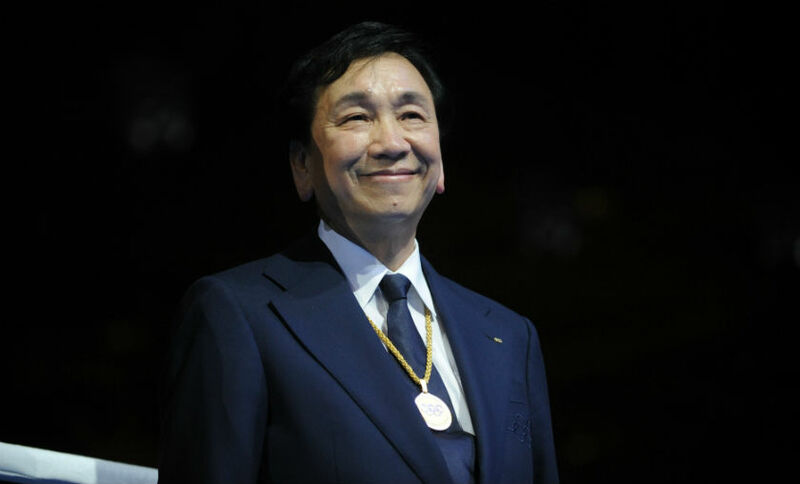 Wu's influence in the IOC has dramatically increased in recent years, which was illustrated last year when he was elected onto the organisation's ruling Executive Board on the eve of the London 2012 Olympic Games. He has also received huge plaudits since taking over as AIBA President in 2006, particularly for his role in spearheading the successful campaign to get women boxers competing at the Olympic Games. Female fighters made their Olympic debut at London 2012, in what was widely seen as the best boxing competition in the history of the Games. "I have been extremely fortunate to have gained a wide range of experiences in my career," he said. "My professional work as an architect has taught me how to plan, create, collaborate, and realise my artistic visions. "My volunteer work within the Olympic family - ranging from NOC and IF roles to opening three Olympic museums - has allowed me to fulfil my passion for Olympism. "Now that the time has come, I am ready to step up. "With the support of my colleagues, I hope to take my ideals further by becoming President of the International Olympic Committee. "By placing your confidence in me, I know that we can work together to create a better future for the Olympic Movement." Wu, has already completed his detailed manifesto, and today sent out to every IOC member. "Today, I am happy to share with all of you my manifesto and I look forward to exchanging ideas and opinions on any of these topics," he said. "Once again, it has been my great pride to serve for many years the Olympic Movement as an IOC member from Chinese Taipei and it will be my great honour to bring the Olympic Movement beyond Olympism by representing the entire world." Should he be elected, he would become the first Asian and only the second non-European to lead the organisation after Avery Brundage of the United States, who was in charge from 1952 to 1972. The deadline for declaration of candidacies is due on June 10, three months before the vote at the IOC Session in Buenos Aires. Following the June 10 deadline, all candidates will become bound by the strict rules governing IOC elections.